Based in Bradley, Ashbourne, I carry out fencing work to the highest standards for domestic, agricultural and commercial clients in Derbyshire. 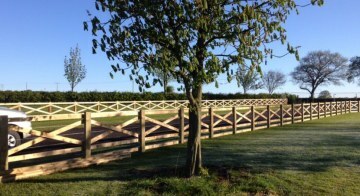 I have been trading for over ten years and carry out fencing work mainly within 15 miles of Ashbourne. We are a small firm, committed to customer service and satisfaction. You will find our fencing rates are competitive because we use our own machinery and tools and rarely have to hire in expensive equipment. We are happy to either provide all materials required or use materials supplied by the customer. I always like to try to match materials with the surroundings, ensuring the new work is in keeping with the rest of the site. If you would like to talk about your fencing project or request a quotation, please call me on 01335 372 068 or mobile 07745 288 011. 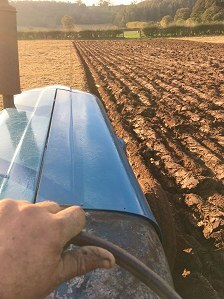 If you have a small field or paddock which needs some attention I am happy to plough, harrow and lay and maintain hedges, in addition to my usual fencing service. My machinery is ideal for smaller plots. Just give me a call and I will come and give you a quote. For hundreds of years hedges in this area have been laid to produce an attractive, stock-proof and wildlife friendly enclosure. 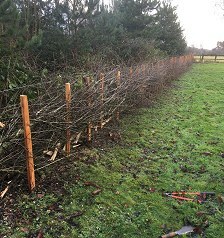 I am happy to lay hedges in the traditional way in addition to my usual fencing work. I own a holiday cottage in France which is available to let. 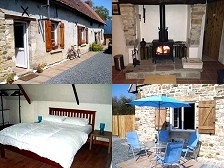 Located in the beautiful Normandy countryside and ideal for touring the Normandy D-Day beaches. Find out more: click here.